Most people don’t realize the sound on their TV is terrible. They just get used to watching shows with subtitles and changing the volume when the dialogue gets too hard to hear. If this sounds familiar, you’re missing out on half of what makes TV so great. Built-in speakers on thin modern TVs are weak and usually placed facing away from the viewer. But with a surround sound system, you can transform your TV experience. With a surround sound system, there’s a center speaker that focuses the dialogue directly at the viewer, while other speakers placed around the room help provide balanced soundtrack and ambient audio—just like the sound in the best movie theaters. Are you ready to convert your TV room into a home theater? We’ve made choosing your new surround sound system easy by scouring the internet for the best sound systems for every budget. Make the change. Your ears will thank you. With sound systems, you get what you pay for. But just because you can’t put $2,000 down on speakers doesn’t mean you can’t get a great sound system. Be aware that these systems are all very popular, so if you don’t see the one you like in stock, you might need to watch and wait for it to restock or go with another option. Here is our take on these budget-friendly recommendations. This sound system has crisp, clear audio, and it comes with powerful floor-standing speakers and an included wireless kit for the subwoofer. Moderately priced for such an advanced sound system, the ELAC Debut sound system brings together some of the highest-rated speakers on Amazon. It can be hard to find a great sound system that fits in a small room, but this compact and powerful system offers the best of both worlds. While this sound system has a plain look, it has a strong reputation for performing well above its price point. If you’re afraid of spending too much on a sound system before you know if the difference is worth the cost, this Monoprice system is an affordable starter system. When you install a new surround sound system, you’ll need more than a set of speakers. Don’t forget to install these other important items too! Why do you need an AVR? Unfortunately, you can’t just plug all your speakers into your TV. Instead, you’ll have to match your sound system with an AVR, which can operate the different channels of sound that go to each speaker. Since all the systems we listed above are 5.1 channel—they have five speakers and one subwoofer—you’ll need at least a 5.1 channel AVR. The AVR listed below will work great. This Onkyo has a lot of cool features, including built-in Bluetooth capabilities and mobile applications that make it so you’ll never have to worry about losing the remote again. However, this receiver may not be the best option for you if you have a very large home theater room. Large rooms may require an upgrade with a second subwoofer or two more speakers. This 5.2 channel AVR can support another subwoofer, but you’ll need to upgrade to a 7.2 channel AVR if you want to add two more speakers. Why do you need speaker wire? Because sound systems are designed to fit in a wide variety of spaces, most don’t come with the wires that transmit the sound from the AVR to the speakers. 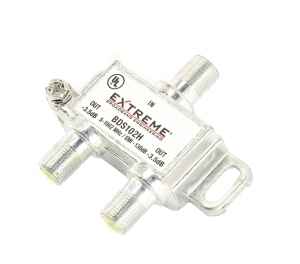 Make sure to buy enough wire length to set up your system around your home theater. Through our research, these five speaker brands came up repeatedly. Plenty of people love these big-name brands, but audiophiles—people who love good sound—repeatedly bashed them as being overrated, overpriced, or just plain terrible. While an untrained ear might not pick up these brands’ weak points, it’s not a bad idea to save yourself some money by avoiding these controversial brands and going with a sound system with solid backing from the audio-lover community instead. Before you invest in a sound system, here are the answers to a few more questions you might have. How much do I need to spend on a sound system? With speakers, you usually get what you pay for. Still, an inexpensive sound system will be loads better than your TV speakers. If you’re concerned about speaker price, go for the Pioneer or Monoprice speakers we suggested. As far as AVRs go, conventional wisdom would suggest you can cut costs by going with a cheaper one because the differences between cheap and expensive AVRs are less noticeable than the differences between cheap and expensive speakers. However, the Onkyo AVR we suggested is already one of the least expensive AVRs on the market, and it’s HDCP 2.2 compatible. The HDCP 2.2 compatibility is a must-have to get the full quality of sound with a new 4K TV. Our Recommendation: You don’t have to spend much to get a lot. If you’re on a tight budget, go for the Monoprice speakers and Onkyo AVR. Make sure your receiver of choice has enough ports to connect all your gear. Many modern options also offer wireless connectivity, such as Bluetooth, which makes streaming music from your phone super simple and cordless. Our Recommendation: The Onkyo AVR should cover your bases. Setting up your first surround sound system can be tricky. There are plenty of online guides, but if you’re feeling overwhelmed, you can hire someone to do it for you—Amazon offers home theater setup, or you can check out local pros in your area. Our Recommendation: Install it yourself if you feel confident. Should you feel confident in setting up your surround sound system, go for it! It’s a great way to save money after making a big investment. Otherwise, ask a pro and save yourself the headache. Do I need a really need surround sound or can I get just a soundbar? While surround sound will give you the best audio experience, a soundbar can still do a good job. 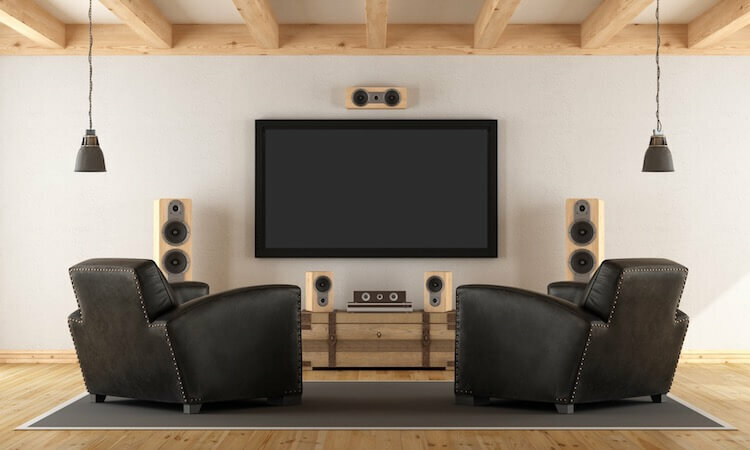 Read on to learn more about the differences between soundbars and surround sound. A soundbar is an all-in-one speaker enclosure designed to sit in front of or under your TV. To set up, you plug it into the audio source—probably your new 4K TV—and you’re good to go. Many soundbars also come with subwoofers, and some let you add satellite speakers (additional speakers you can place around the room) to get a taste of that surround sound life. But even on its own, a soundbar contains everything you need to significantly upgrade the sound coming out of your TV—no wires or extra components required. Sonos soundbars are all the rage right now, but they come at a high price. And when you can get a whole surround sound system for those high prices, you’d need a pretty small room to convince us it’s worth giving up surround sound for. 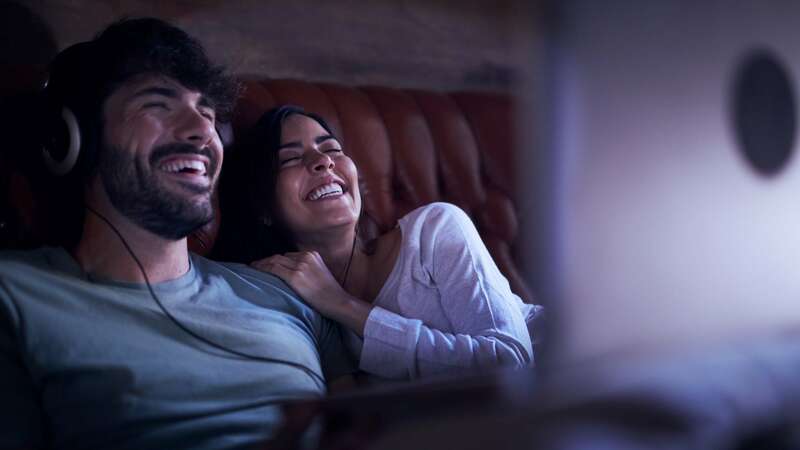 Though soundbars often advertise “virtual surround sound,” which is intended to mimic the effect of a surround sound setup, they simply can’t compete with surround sound. While they may add some depth of sound to your TV, if you want the full effect, you’re going to have to pony up for a real surround sound system. Rather than existing within a single enclosure, surround sound systems consist of several components. A/V Receiver (AVR): This is the brain of a surround sound setup. It takes your TV’s audio signal, splits it into separate channels, and routes each amplified channel into its matching speaker. Subwoofer: Most audio tracks include a channel dedicated specifically to bass reproduction, which is sent through the subwoofer. This is what makes your windows rattle when the bombs in your favorite action movie go off. Center Speaker: This speaker takes care of most of the dialogue in your movie, and it works with the left and right front speakers to create a stereo sound effect. It anchors the left and right speakers, handling sounds that come from the center of the screen. Front Speakers: These work with the center speaker to create a stereo effect. There are two front speakers—left and right. As you can probably guess, sounds from the left side of the screen come more from the left speaker, and sounds from the right side of the screen come more from the right. Rear Speakers: These are what make the system “surround sound.” By playing the sound effects that would be located behind the listener actually behind the listener, rear speakers give the impression that you’re present in the scene. There are many possible speaker setups. As we mentioned before, 5.1 channel refers to having five speakers and one subwoofer. This setup is the most common. The second-most common setup is the 7.1 channel, which allows for more depth because it uses two additional rear speakers for a total of seven speakers and one subwoofer. Additionally, it’s not uncommon to opt for additional subwoofers, which are denoted after the decimal mark in the channel number. For example, adding a subwoofer to your current 5.1 channel system would change it to a 5.2 channel system. Our Recommendation: It depends on your TV room. This choice doesn’t always come down to budget—you can get a complete surround sound system for less money than some of the pricier soundbars. Instead, base your decision on room type and desired sound quality. A soundbar is much easier to find space for, and setup can be as simple as plugging in a couple of cords. It does a good job in small rooms like a bedroom. On the other hand, a surround sound system has more setup and components but ultimately provides better sound. It’s a must-have for a true home theater. With a new sound system, you’ll want to make sure you’ve got plenty of great shows to enjoy in your home theater. Imagine being fully immersed in Game of Thrones on the big screen with surround sound. 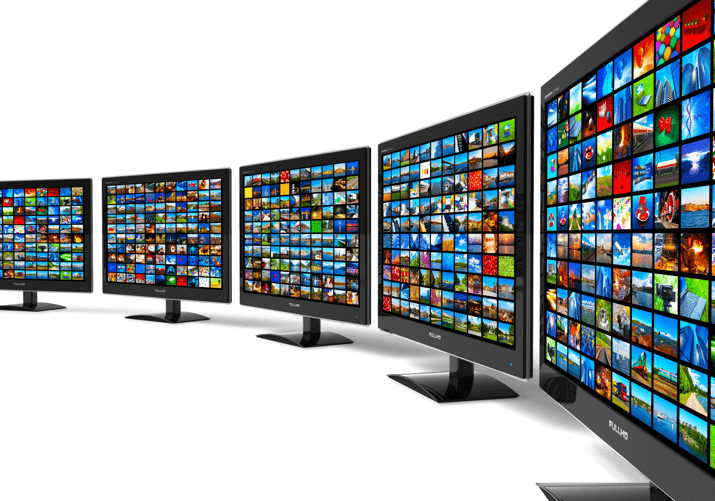 We can help you find a great deal on a new cable (or fiber) TV package—enter your zip code below to see which providers in your area offer the best options.